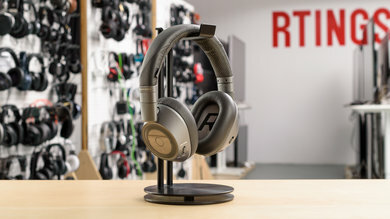 We have currently reviewed 6 Plantronics headphones. They're a brand best known for their Bluetooth headsets but they also produce some of the most feature-packed headphones on the market. Lots of Features. The Plantronics headphones we've reviewed so far have some of the best combinations of active features. They typically have an excellent wireless range and latency, great battery life, noise canceling, different aware modes and a bundled app that adds a few unique features compared to other headphone apps. Exciting Sound. The Plantronics sound profile has a lot of bass, which may not be ideal for more critical listeners, but it delivers an exciting sound with most tracks, especially, since they also usually have a good mid-range for instruments and vocals. Great Controls. One of the most noticeable features of the Plantronics lineup are the controls. They're unique and often unorthodox compared to other brands but they're efficient and ergonomically placed on the ear cups, making them easy to use. Mediocre Noise Canceling. Although Plantronics headphones are packed with features, noise cancellation is not their biggest strength. They isolate well enough for certain environments but they have a lot of self-noise and do not block ambient noise as well as some other noise canceling headphones from competing brands. Overly Emphasized Bass. The Plantronics headphones have a powerful bass that sounds exciting for some but may be too emphasized for others. Poor Headphone Variety. In total, Plantronics only has about 11 available music oriented headphones. Although they cover most headphone types, there's not a lot of variety. Overall, Plantronics is a brand that makes feature-packed and versatile everyday headphones for casual use. They're affordable, especially considering their features and build quality. They have some of the best control schemes we've tested so far, excellent wireless ranges, low latency codecs, long-lasting battery lives and noise canceling. However, their noise canceling is not as strong as that of the competition and although they deliver an exciting sound, they can sometimes be too bass-heavy for more critical listeners. Plantronics does not have a vast lineup of headphones but they have a model for each headphone type. Pro = The main lineup from Plantronics composed of feature-packed over-ear headphones. Sense = The lightweight on-ear lineup from Plantronics for mixed usage. Go = Wireless in-ear designs for sports and everyday casual use. Fit = Wireless earbuds with a more comfortable fit specifically for sports and physical activity. The best Plantronics Bluetooth headphones for mixed usage are the BackBeat Pro 2. They are a great successor to the well-rounded Backbeat Pro as they are just as versatile and packed with active features. If you're looking for a good pair of wireless over-ear headphones that you can use pretty much everywhere, then the Pro 2 are a good option. They have an efficient control scheme, an excellent wireless range, and a long-lasting battery life. They also have a better sound than the previous model and a redesign that makes them worth the upgrade. 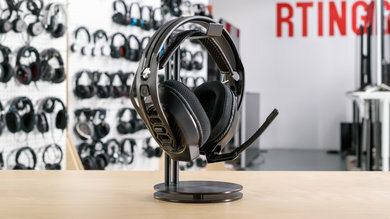 The best Plantronics headphones for gaming are the RIG 800LX. They are easy to use, have a well-balanced sound and a great battery life. Thanks to a comfortable and lightweight wireless design, they can be worn for long gaming sessions. The dongle is only compatible with the Xbox One (800LX) or the PS4 (800 HS), depending on the variant you chose, but the transmitter dongle has a good wireless range and a low latency connection. Overall, they're a good choice for gaming even though they lack the customization options of some of the other gaming headsets. Plantronics does not have the biggest lineup but makes sturdy and versatile, wireless headphones that are packed with features. We have yet to test their full lineup but their Pro series offers an excellent wireless range, easy-to-use control schemes and an exciting, if a bit too bass-heavy, sound. However, despite having all these great active features, some of Plantronics headphones struggle with noise cancellation, typically delivering an average-at-best isolation performance and a lot of self-noise when the ANC is enabled.